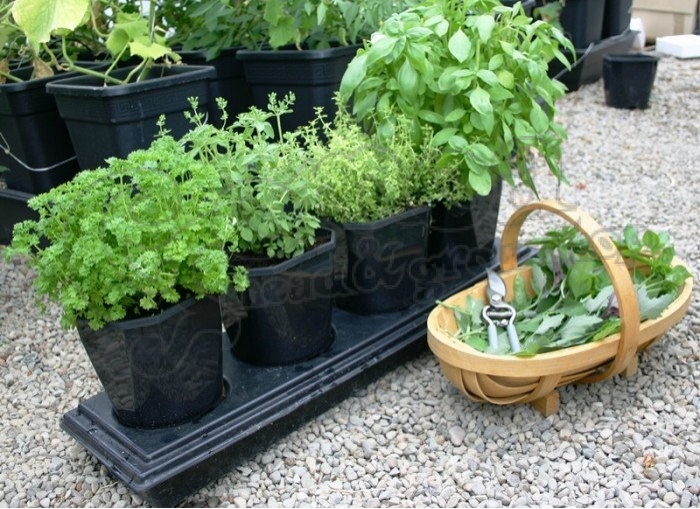 Grow your favourite gourmet herbs all year round. Just water every 2 weeks! 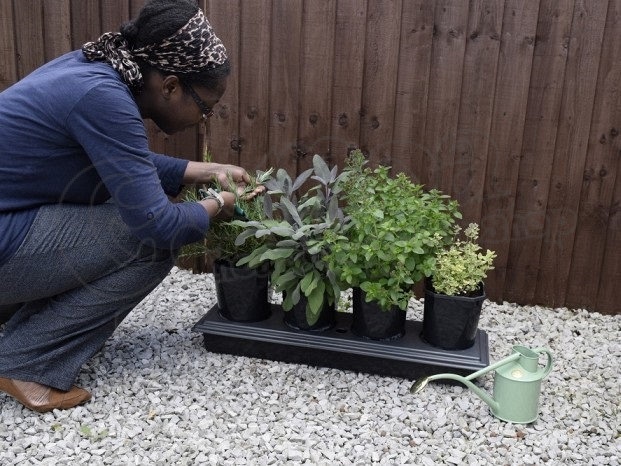 This clever Herb planter keeps herbs perfectly fed and watered for up to 2 weeks at a time. 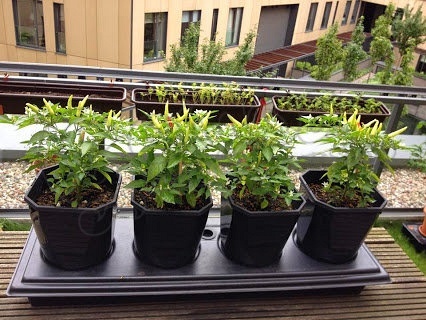 Herbs can be difficult to keep properly watered (some like dry conditions, some demand a lot of water) and incorrect watering affects the taste, not to mention killing-off the plants! 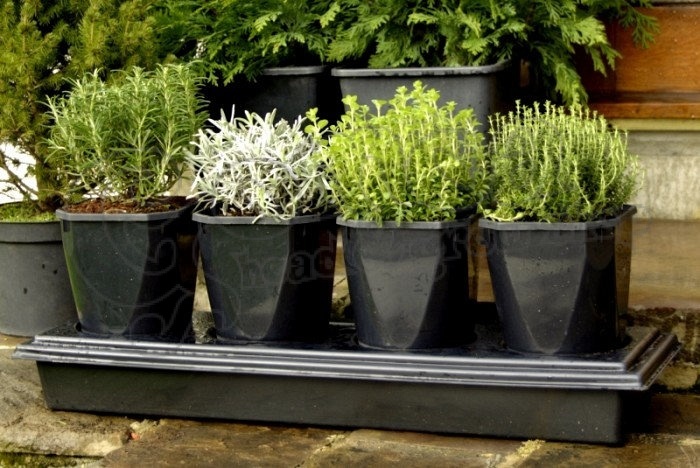 The size of the pots is ideal for smaller herbs. 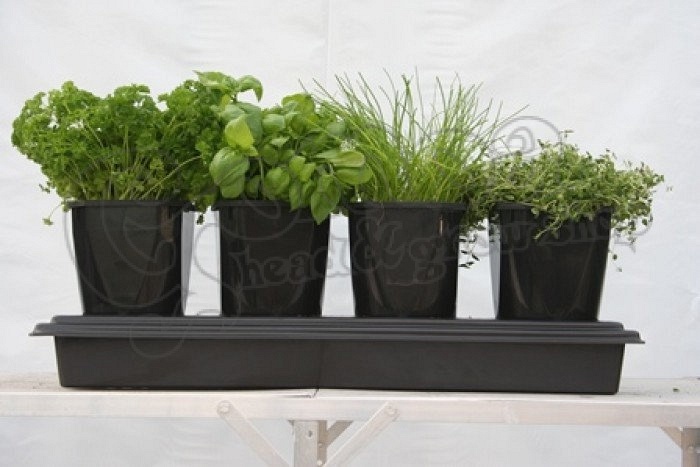 This herb planter maintains perfect soil moisture by taking water up from its SmartReservoir through FeederMats when the roots need it, meaning your herbs always have the right amount of water. 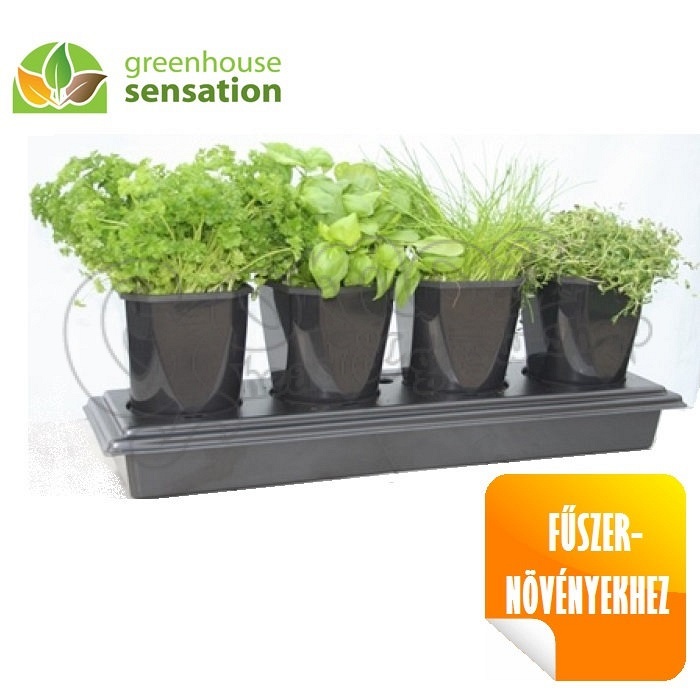 The result is herb plants that are never under or over-watered, so they grow faster and taste better. Just mak sure there is always some water in the tank, and you don't have to worry about anything else. You can plant different herbs in each of the 4 pots. The drip-proof design makes it suitable for indoor or outdoor use. The Herbgrow never lets plants dry out or the soil to become too wet.Your plants will grow faster, stronger, healthier in this ideal environment.